An exhibition of recent works by Fiona Collis, Melanie Tahata, Izzy Te Rauna. OHO is the awakening of creative energies experienced by each of the three exhibiting artists in the last two years. 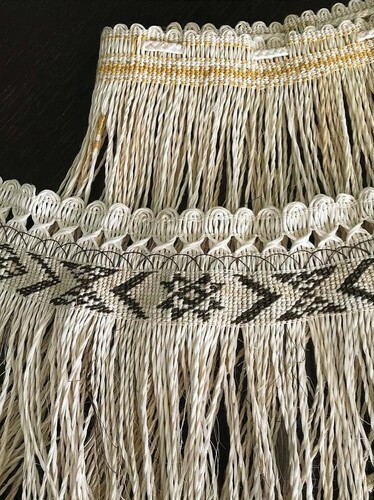 Izzy Te Rauna discovered a passion for tukutuku. Fiona Collis has gone back to her traditional weaving roots and her passion for weaving was reborn. Mel Tahata wakes at odd hours trying to watch and learn from Te Whānau Marama in their celestial dance across the sky. Each artist experienced an awakening of sorts and the activation that took place in their practice, is produced here.